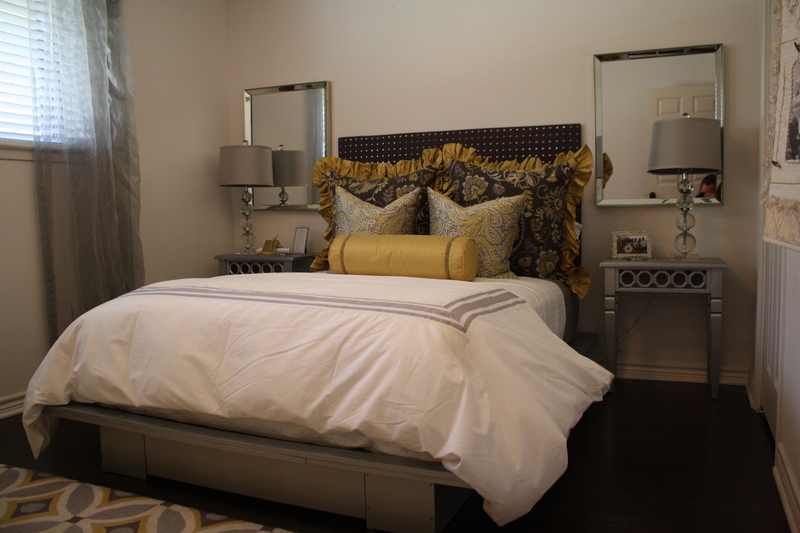 This platform bed has been decorated with a combination of custom and ready made pillows. The Matte Laisse coverlet and duvet cover are also ready made. Headboard is plywood covered with padding and fabric embellished with metal studs.